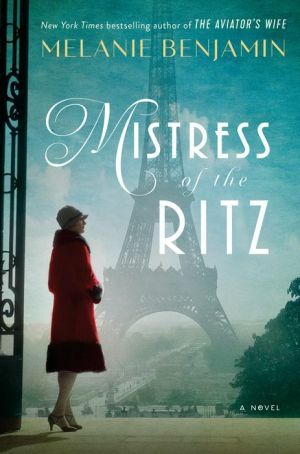 From the New York Times bestselling author of The Aviator's Wife and The Swans of Fifth Avenue, the extraordinary story of the real-life Jewish-American woman who secretly worked for the French Resistance during World War II--while playing hostess to the invading Germans at the iconic Hotel Ritz in Paris. In March 1940, the Nazis sweep Paris and immediately take up residence in one of the city's most iconic sites: The Hotel Ritz. There, under a roof legendary for its unprecedented luxury and for its fabled residents--including Coco Chanel, the Duke and Duchess of Windsor, Cole Porter, Hemingway, Balanchine, Doris Duke, F. Scott Fitzgerald, and now Hermann Göering--the Nazis rule over a paralyzed city. But two residents of the Ritz refuse to be defeated: its manager, Claude Auzello, and his beautiful American actress wife, Blanche. They not only oversee the smooth workings of the hotel, but both Blanche and Claude throw themselves fearlessly into the dangerous and clandestine workings of the French Resistance--a commitment made even more perilous by the fact that, unbeknownst to the Nazis, Blanche is a Jew. This is a true-to-life novel of a courageous woman and her husband who put their marriage--and ultimately their lives--in jeopardy to fight for freedom. Intimate, fearless, and moving, it spins a brilliantly and unforgettably vivid human portrait at a time of unimaginable crisis and sacrifice.